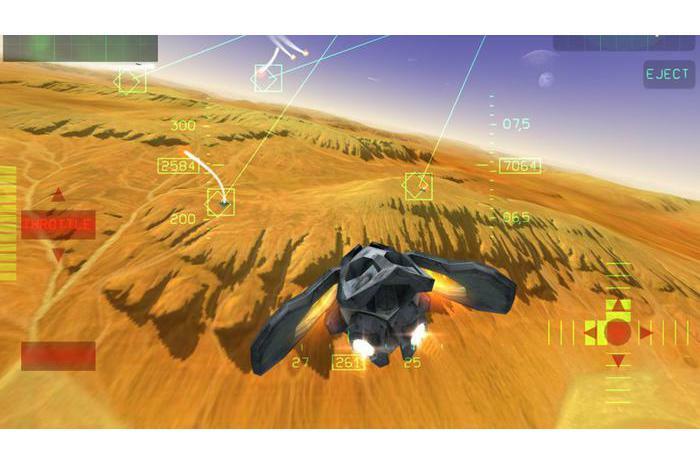 We offers to take place in a futuristic fighter pilot and go to sortie with a view to subdue enemies. But to destroy enemy aircraft is only half the problem, no less important and the second component - to survive in the battle itself, and earn money. Game can be called one of the best flight simulators. You will fly over the earth not only spaces, but also to visit other planets, where without your combat power can not do. Although by and large planets differ only in the landscape, the mission is essentially reduced to one and the same - sweep the earth and sky from enemy targets, with those with any of them difficult to handle the big question. 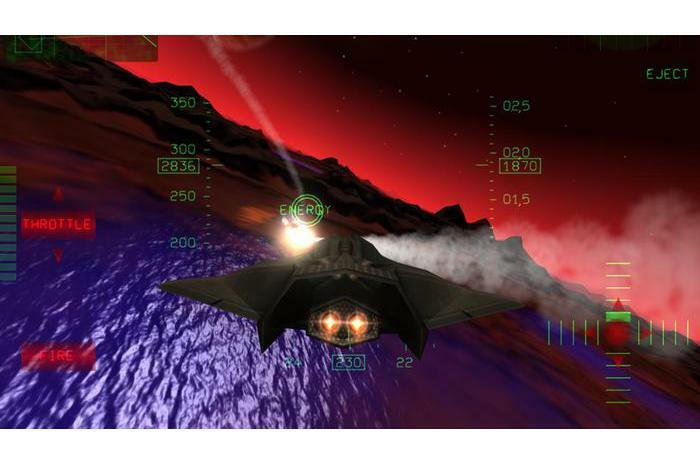 In the sky, you have to show the wonders of maneuverability and try not to go too high in the stratosphere, so we could run engines, and trying to destroy ground targets have to go to low-level flight and quickly respond to emerging from the rocks defense objects. 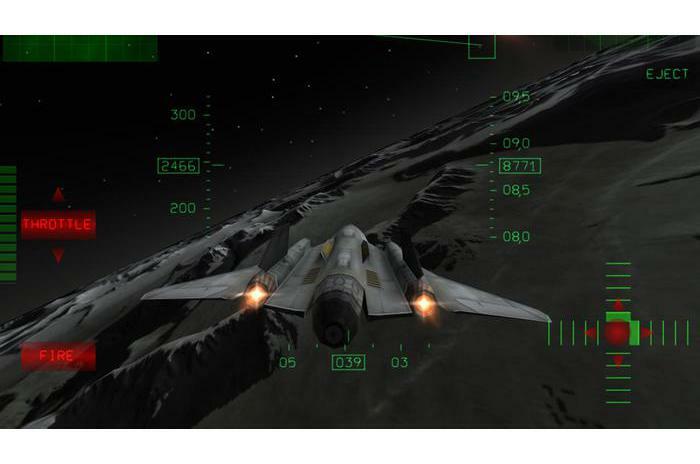 To control the fighter you will be offered two options: virtual joystick, which can be on either side of the screen of your choice, and accelerometers, is to say that the latter option is more convenient, because the responsiveness of the aircraft to tilt the device beyond praise. Unfortunately no aerobatics you can not perform, it just is not provided. Also on the screen, you screen, you will see a small slider responsible for cravings, and accordingly for your speed, if you want you can even land if it is in your strategy, its location can also be changed if desired. 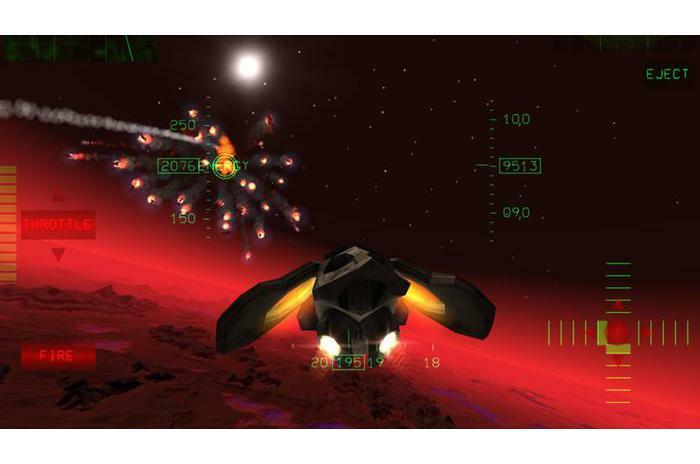 Fire homing missiles you as soon as the enemy fighters will be in the affected area will be enough to press the button and wait for the destruction of the target. In finding the enemy radar will help you initially covering radius it is not great, but it can be improved, spending several successful battles and collecting funds in which role playing game in an abstract energy. Graphics in the game will not disappoint fans of simulators, and foreign landscapes made very beautiful, cliffs and valleys interspersed with patches of playing the water surface. By airplane models also did not find fault, no angularity or blemishes, clean crisp lines and the play of light on the fuselage create a good impression. The final touch are perfectly executed effects, explosions and flying debris in the game will be a lot and they can even be called realistic. 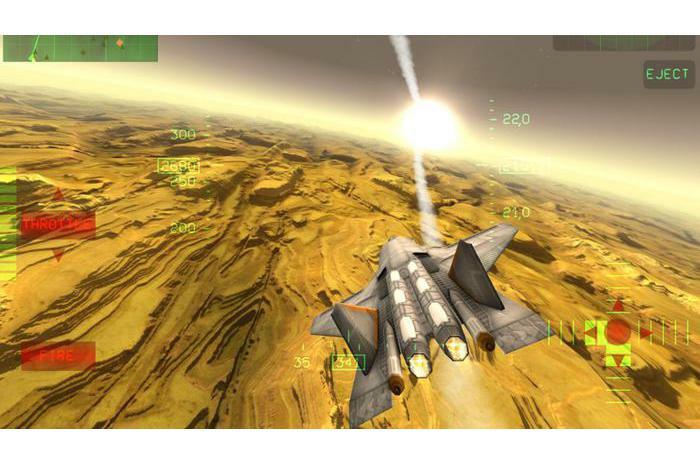 Fractal Combat excellent free game, but from the donation is only available off of advertising and the possibility of opening at the same time all the worlds and planes for fans of dogfighting is a real gift.